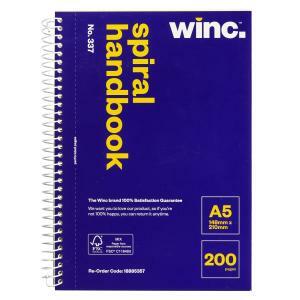 The Winc Spiral Notebook No. 337 A5 200 Pages features two convenient cardboard pockets and perforated pages. Quality white paper enclosed in a tough side opening cover.